Second or even third bathrooms are great additions to any home. They make life far more convenient for families and residents, and have been proven to significantly reduce the number of arguments about shower hogging in the morning! They also add to a property's market value, as en suite or second bathrooms are a very desirable feature to any potential buyers. The vast majority of our shower enclosures can be enlarged with the addition of extra shower panels, allowing large spaces such as loft conversions or spare rooms to be fully utilised and kitted out so that they often outshine even the main bathroom. Not all houses have the luxury of space needed to make multiple bathrooms an easy proposition, and fitting shower cubicles into small bathroom spaces such as alcoves under the stairs can seem like a real life game of Tetris. Granted, even some modestly sized bathrooms have sloping ceilings which can create difficulties when installing a standard sized shower cubicle. 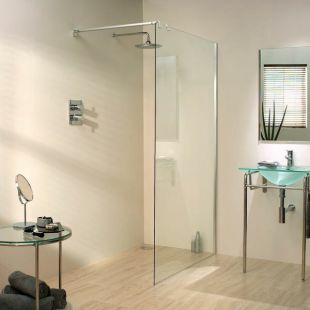 Fortunately Midland Bathroom Distributors have a plethora of solutions for every conceivable nook and cranny into which you might be considering fitting a shower cubicle. Not only can we supply a wide range of shower trays, but we can create shower enclosures of many shapes and sizes meaning that we can help you to fit a shower into every conceivable space. We also have a number of ways by which you can create the illusion of space, including the stunning Infinity Mirrors by HIB which seem to frame a corridor which goes back forever, a number of petite sanitary ware items and bi-fold shower doors which fold like a concertina rather than opening out into your bathroom space. Of course, you don't need to be starting from scratch to find some useful information on this page. Bathroom renovations are our bread and butter and if you are updating an old bathroom or stripping it out and remodelling it completely, there should be plenty of products to give you some design ideas for bathroom comfort. If you need any help or guidance then please get in touch with us today. We can provide you with a great number of bathroom ideas for small bathrooms and large bathrooms alike thanks to our friends at Coram Showers, Torino Shower Enclosures and Lakes Bathrooms. These three giants of bathroom design have years of experience designing and manufacturing contemporary styled showers enclosures, during which they have come across just about every bathroom layout in the book. For your small bathroom or bathroom renovation project you can rely on these manufacturers. Coram Showers can provide toughened safety glass panels with angled or 'L' shaped top profiles for those awkward spaces, or extra wide doors and additional side panels for larger spaces. They also manufacture revolutionary Coratech Resin Shower Trays which have all of the strength of traditional stone resin shower trays but are lightweight and easy to lift for installation. Their trays are available in hundreds of sizes allowing you to create the perfect shower enclosure whatever space you are faced with filling. 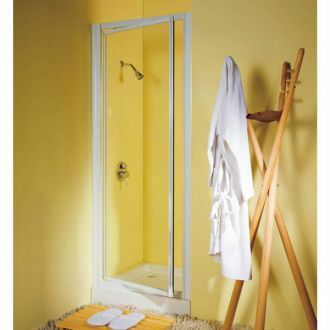 Coram reduced height shower enclosures are available with or without frames. 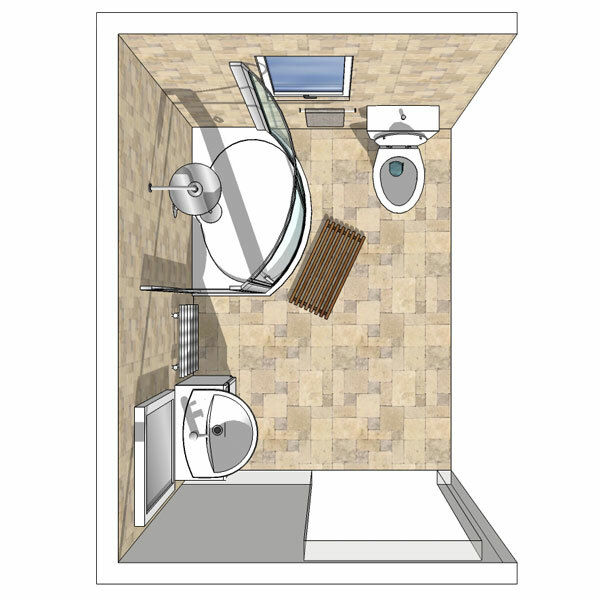 This increases your options when you come to dreaming up ideas for small bathroom spaces. Opting for a frameless enclosure allows extra light to penetrate the shower enclosure, adding to the sense of space that will be more welcome the smaller the space you have to work with. Torino Shower Enclosures and Lakes Bathrooms can both manufacture reduced height shower doors and side panels made to measure, providing you with countless options for your second bathroom's shower enclosure. Lakes Bathrooms' shower doors and side panels are all made with the AllClear coated glass system which dramatically reduces the need for cleaning by reducing the build up of limescale and scum on your shower door. We have compiled an indispensable guide to give you plenty of ideas for maximising the use of space in a small bathroom. It features tips on how to create the illusion of space using mirrors and natural light, and of course we have plenty of options for smaller sanitary ware items such as the space saving corner toilet by Impulse. Impulse also produce a delightful range of cloakroom, counter top and wall mounted basins, all of which will lend to the illusion of space in a confined area. For some great bathroom ideas for small spaces and hints on planning your new bathroom layout, feel free to take a few moments to read our guide. At Midland Bathroom Distributors we are always eager to help our customers in any way we can. Wet rooms are becoming increasingly popular because they save space, as well as providing a unique sense of luxury. 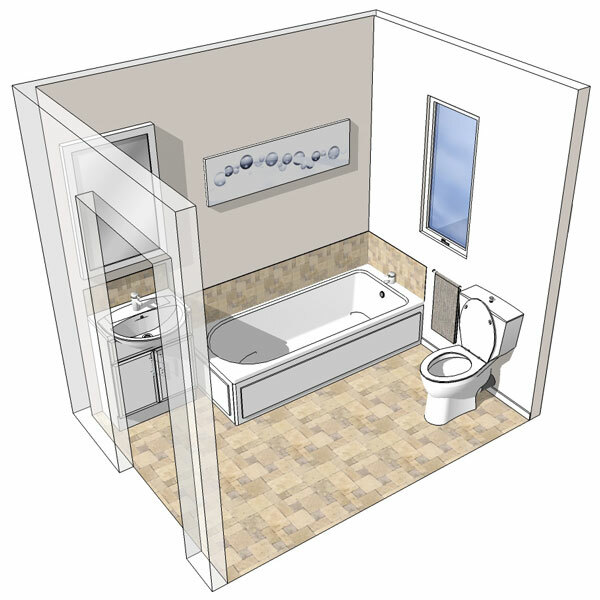 Without the need for shower doors, side panels or shower trays, wet rooms have major space saving benefits. As they utilise tiles and a slanted drainage system, wet rooms are much easier to keep clean. On top of all this, a wet room creates a unique showering experience, giving you more room to move, and this added sense of freedom will help you start each day feeling renewed and refreshed. At Midland Bathroom Distributors we stock a range of wet room kits and we have created a How To Guide for wet room installation to aide you in your DIY adventure. Installing a bathroom into a small space or even a larger area can be a difficult task no matter how enthusiastic you are about DIY, simply because not all rooms were designed with the water draining and sanitary features that a primary bathroom will already have. Our advice is, once you have planned out your design idea for your new bathroom space and purchased the products you need, consider employing a plumber. 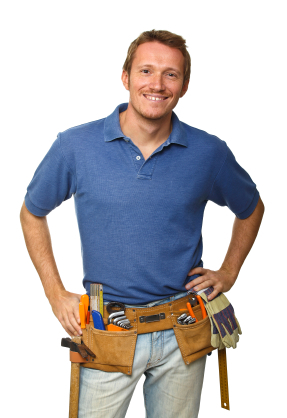 Now we have all seen the horror stories on programs such as Rogue Traders, and know that finding the right plumber can be as daunting a task as coming up with workable design ideas for small bathrooms, which is why we have also compiled a useful guide to finding a plumber for your benefit. Asking simple questions from our guide when you are choosing a plumber can help prevent nightmare situations arising and will give you the security and confidence that you need when making big changes to your home.